The honorees among the Top 25 nationwide share traits: They’re collaboration-oriented, they're breaking new ground, and they're not done yet. Left to right: Roozan Zarifian, Murtaza Masood and Lisa M. Garrett. When Government Technology, Techwire's sister publication, annually chooses its Top 25 Doers, Dreamers and Drivers, they're probably people whose names you already know if you follow innovation in the government tech sector, but we also hope there are some faces that will be new to you. Of that top 25, California is represented this year by one team and one individual. Nearly every honoree we interview leads with effusive praise for the talented group of colleagues they work with, each worthy of their own recognition. We don’t doubt that in each case, it’s true. But it also underlines something that’s sweeping across government, or at least starting to, thanks to the work of visionaries like the ones we honor in this issue: They’re open and even eager to reach beyond traditional constraints like department, jurisdiction and industry. For example, CIOs speak often of the need to understand what everyone else in the organization is trying to do before even considering what technology might help them achieve it. They’re building relationships and adding more value as a result. And those relationships extend deeper into their communities than they ever have before. More than 50 languages are spoken in Alameda County — and those languages are spoken within a population of over 1.6 million people, giving county leaders a massive task of connecting to everyone. But CIO Tim Dupuis welcomes the challenge. “Regardless of social or income status within the community or language, everybody seems to have some level of contact with technology,” he said. Recognizing the deep potential in modernization and automation, Los Angeles County personnel and human resources officials continue to collaborate on a series of initiatives that are reshaping their business processes and positively impacting the activities of other agencies. 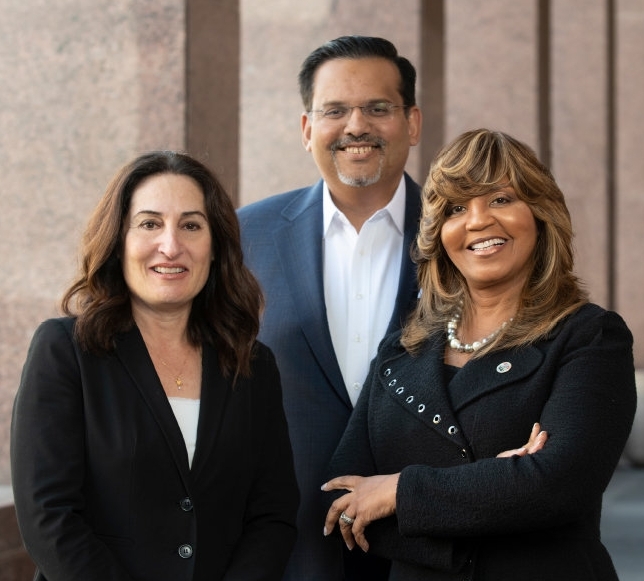 Department of Human Resources (DHR) honorees Lisa Garrett, director of personnel; CIO Roozan Zarifian; and DHR Assistant Director Murtaza Masood have collaborated on transformational technology projects since at least 2015. Recent projects include NeoGov, a cloud-based platform unifying recruitment, applications and testing. NeoGov aggregates data from four legacy systems, offers mobile access to applicants and enables real-time visibility throughout the hiring process. That’s a meaningful accomplishment for an agency that employs approximately 110,000 active staff, but also maintains files for around 33,000 inactive employees. In June 2018, the agency launched Career Pathfinder, an online tool that helps employees plan future career choices up to 10 moves ahead. In December, DHR announced an online, digitized system that integrates legacy programs for sexual harassment and discrimination, which was anticipated to go live during the first quarter of 2019. Also in December, officials from DHR, the Registrar-Recorder’s Office and Internal Services debuted an Electronic Personnel Records system, digitizing personnel files from eight county departments in the first of a three-phase process that will continue over the next year. From reports by GovTech Editor Noelle Knell, GovTech Managing Editor Lauren Harrison, and Techwire Assistant Managing Editor Theo Douglas.